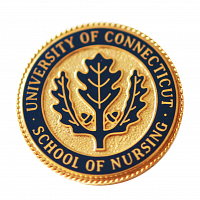 The University of Connecticut RN to Master’s (RN to MS) program is designed for self-starting, self-paced RNs who have earned a diploma or associate degree from an NLN accredited program in nursing. Upon admission to the program, the student is advised by the RN-MS track director. The student will change the advisor upon admission to the graduate specialty. Coursework for the RN to MS program is completed in three Groups: 1) University General Education Requirements; 2) School of Nursing Course Requirements; and 3) RN to MS Program Requirements. Required courses in Groups 1 (General Education Requirements) and 2 (School of Nursing Course Requirements) need to be completed PRIOR to coursework in Group 3. Students should note course prerequisites in planning course schedules. Courses in Group 3 (RN to MS Program Requirements) are taken after Group 1 and 2 are complete and according to the schedule published by the School of Nursing. Transcripts are evaluated for admission on an individual basis. Applicants may request evaluation of their records for award of credits for standardized examinations and experiential background that are part of the curriculum. Registered nurse graduates of associate degree or diploma programs who hold a license to practice in Connecticut may apply for admission. To be eligible to receive advanced placement credit, registered nurse graduates must meet the following requirements: hold a valid license in Connecticut as a Registered Nurse (RN); fulfill the admission requirements for the University; and be accepted by the University. The minimum number of credits to be awarded for nursing content from an associate degree or diploma nursing program is 30 semester credits. The School awards an additional 30 credits to RN students demonstrating required competency and consistent with the state articulation agreement. The number of credits transferred cannot exceed the number of credits earned. All previously-completed coursework is eligible for transfer review. The University of Connecticut accepts general education credits for courses in which a grade of C or above was earned. Please note that the School of Nursing has a minimum C grade requirement in numerous courses, is specified under the Scholastic Standing Requirement, which follows. All students must have a cumulative grade point average of at least 2.7 in the School Requirements course sequence (group 2) and a grade of C (2.0) or better in the following courses or their equivalent: BIO 1107; CHEM 1122; MCB 2410 or 2400; PNB 2264, 2265; MATH 1020Q, 1030Q or 1040Q; STAT 1000QC or 1100QC. Students must earn a C (2.0) or better in all nursing courses (those with NURS designation) in order to earn credit toward graduation. No student may take a course in the School of Nursing’s curriculum for which another course in the curriculum is a prerequisite unless the student has earned a grade of C (2.0) or better in the prerequisite course. No nursing course may be repeated more than once (for a total of two times). Students may be dismissed from the School of Nursing if they earn a cumulative grade point average below 2.5. A cumulative grade point average of 3.0 or above in all required nursing courses is required for graduation. Applicants holding a bachelor’s degree in a field other than nursing do not need to meet the University of Connecticut Undergraduate lower division general education requirements. However, if an individual is unable to complete the full graduate level curriculum and wishes to earn the bachelor’s degree in nursing, he/she must be accepted into the undergraduate program and fulfill the University of Connecticut General Education Requirements. met all the requirements of the School of Nursing (see Scholastic Standing Requirement above). During the final year of the Bachelor’s degree coursework, RN students are encouraged to apply to the Graduate School. By enrolling in this program you will work toward both a Bachelor of Science (BS) and Master of Science (MS) degree in Nursing. Students may apply by going to http://admissions.uconn.edu/content/transfer. When making application to RN-MS program you would apply as a transfer student and the application deadline would be February 1st for the upcoming Fall semester. When preparing your personal essay you will need to specify that you are applying to the RN-MS program in the School of Nursing. Admitted RN students will be assigned a faculty advisor to assist them. After completing the requirements for the BS degree, students in this option apply for admission to the Graduate School. A 3.0 GPA in the undergraduate degree is required for admission to the Graduate School.